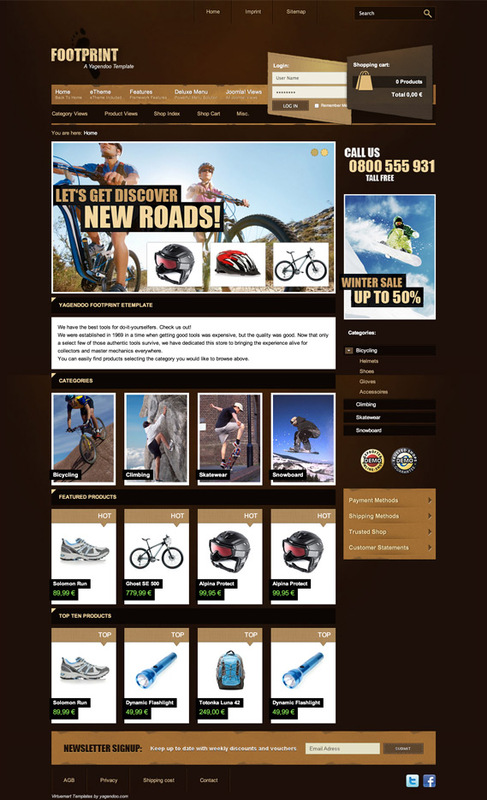 Our VirtueMart template stands out because of its fancy design and great effects. It is kept in a brown vintage look with black and white highlights. 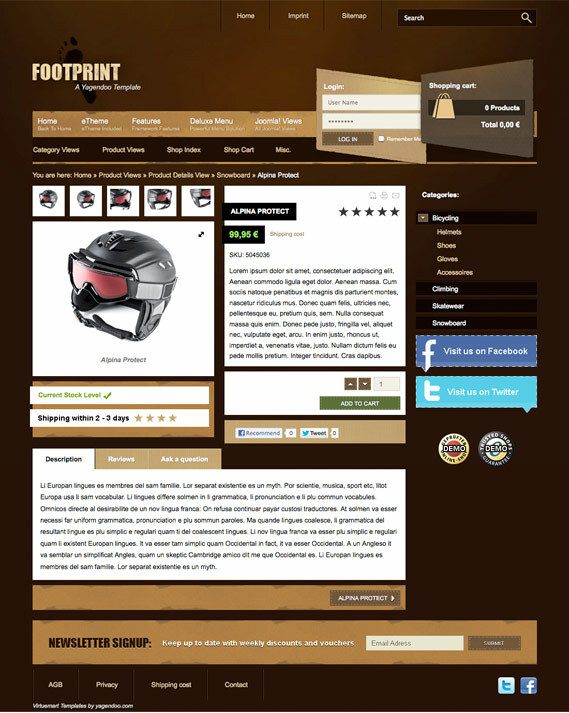 The yag Footprint VT VirtueMart Template stands out because of its fancy design and great effects. It is kept in a brown vintage look with black and white highlights. 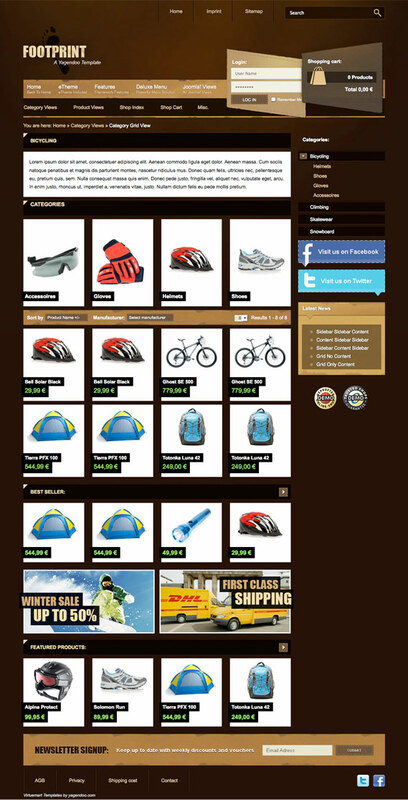 The yag Footprint VT VirtueMart Template changes the optic of VirtueMart as well as of Joomla! completely. Scroll down now for all information about the yag Footprint template.